Winter. One of the things that comes to my mind in the winter, besides, snow and frigid temperatures, is soup. In fact, one of my favorite foods to eat when it’s cold is soup. I love to cook (and eat) homemade soup. However, I’m not always afforded the time to cook a big pot of homemade soup. 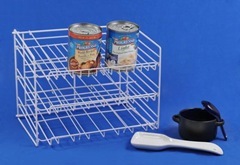 So, I go into my pantry and get the next best thing… Progresso soup. Another thing I’m crazy about regarding Progresso Soup are their new commercials. Ring ring, ring, ring. You know the ones? The soup cans as phones… so cute. Well, my son and I tried our hand at our own Progresso Soup commercial. I am a wee bit biased, but Cody did a great job – I think he’s a budding actor in the making, if I do say so myself. 🙂 Anyway, we had fun doing it. We hope you enjoy it, too. 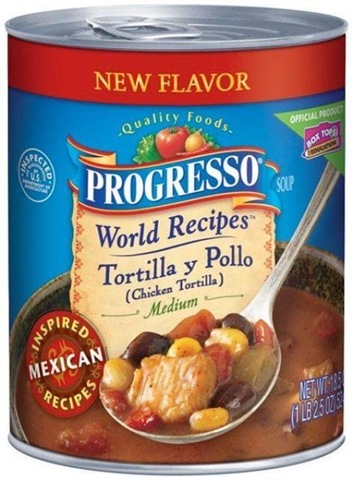 Progresso® New World RecipesTM – Inspired by Mexican recipes, explore one of the fastest growing ethnic cuisines by giving the Progresso New World Recipes line a try. Made with authentic Mexican ingredients and seasonings, four new Progresso soups will be hitting grocery shelves near you – Chicken Tortilla, Meatball & Rice, Black Bean Jalapeno and Chicken & Vegetable. Progresso Light – America´s number one Light soup just got better, as all 13 existing Progresso Light varieties are now packed with bigger pieces of white meat chicken, more tender pieces of beef or added vegetables. Need even more to talk about? Progresso Light New England Clam Chowder is the first creamy Light ready-to-serve soup that holds true to the Progresso Light name with just 1 Weight Watchers® POINTS® value per serving! Progresso Reduced Sodium – With 49 percent of shoppers concerned about high cholesterol1, Progresso understands the importance of soluble fiber and reduced sodium diets. New Reduced Sodium Tomato Parmesan soup is one more tasty option that has a delicious blend of flavors and carries the "May Help Lower Cholesterol"2 benefit. In addition, five additional Reduced Sodium soups also carry the "May Help Lower Cholesterol"2 benefit. Progresso High Fiber – With 9 out of 10 Americans not getting the recommended Daily Value of fiber, Progresso High Fiber line of soups are packed with 7 grams per serving. Giving you one more thing to talk about, Progresso brand´s first Chili Soup just joined the High Fiber family! 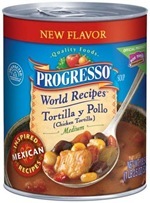 For more information about the new and improved varieties of Progresso soups as well as great recipe ideas, visit www.progressosoup.com today! Also, check out Progresso on Facebook to "Like" the brand and keep up with the latest news on your favorite Progresso products, both new and old! Mandatory Entry: Visit Progresso and tell us what flavor of soup you would like to try! 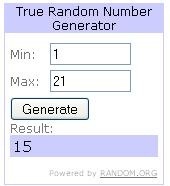 The winner will be selected on 01/17/11 at 5:00 pm EST via random.org and will be notified via email. The winner will have 48 hours to respond. CONGRATS! Marci. You’re commenter #15. 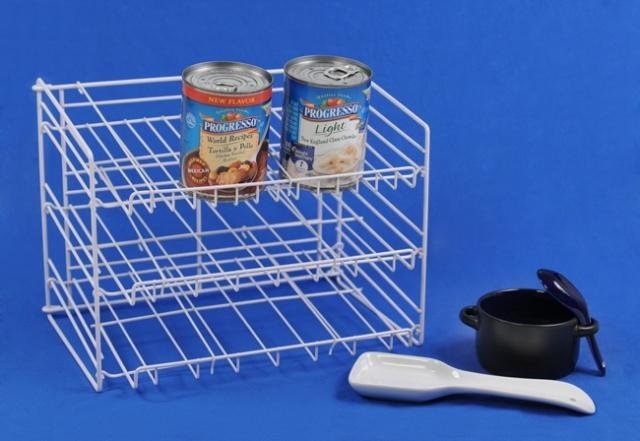 Just so you know: I was provided the product, information and prize packs from Progresso through MyBlogSpark to help facilitate my review… the opinions expressed are my own. I’d like to try Potato Broccoli & Cheese Chowder 🙂 *Thanks* for the giveaway!